An emotional intelligence definition needs to be easy to understand, so that you can communicate it to others without any problem. That's what you'll get here. The science behind EI is deep and complex, having to do with brain function and sophisticated neurological response patterns. But we need this important concept to be user friendly, so the definition we've arrived at will be just that. "A high level of emotional intelligence means being smart about your emotions and smart while feeling emotional." A longer version of this is, "When you have a high level of emotional intelligence, that means you understand your emotions and how to manage them, and you can keep a clear mind and a cool head when your emotions are running high." Self awareness - Knowing your emotions, your emotional "triggers" and the story behind your emotions. Self management - Regulating, controlling and releasing your emotions in ways that are healthy for you. Social awareness - Understanding social dynamics, emotional needs in social situations, communication styles and patterns, as well as "games" that are sometimes prevalent in social situations. Relationship management - Learning conflict resolution skills, how to build positive connections, how to understand nonverbal communication, and the art of expressing love and appreciation. The chart below shows these four components in graphic form, representing two individuals in terms of Thoughts, Actions and Emotions. You can see that both individuals need to have self awareness and self management skills, in order to effectively master social awareness and relationship management. You have probably heard the saying by Hermes, "As within, so without." That applies very well to our emotional intelligence definition as we're using it here. If you are at peace with yourself (self awareness and self management), it will be far easier to make peace with others (social awareness and relationship management). If you are at war with yourself (poor self awareness and self management), you will be much more likely to have trouble in understanding and dealing well with others (poor social awareness and relationship management). If your thoughts don't match up with your emotions (for example, you think you should do something but you don't really want to), your actions will most likely be inconsistent, and you'll be seen as unreliable by others. 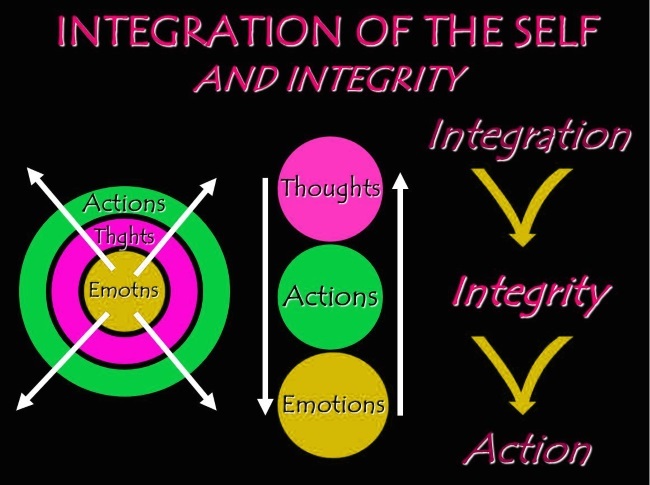 Another way of looking at this is in terms of personal integration and integrity. If your thoughts and emotions are integrated (working smoothly and harmoniously together), your actions will reflect this in the form of integrity. High levels of self awareness and self management reflect personal integration, and high levels of social awareness and relationship management skills reflect personal integrity. 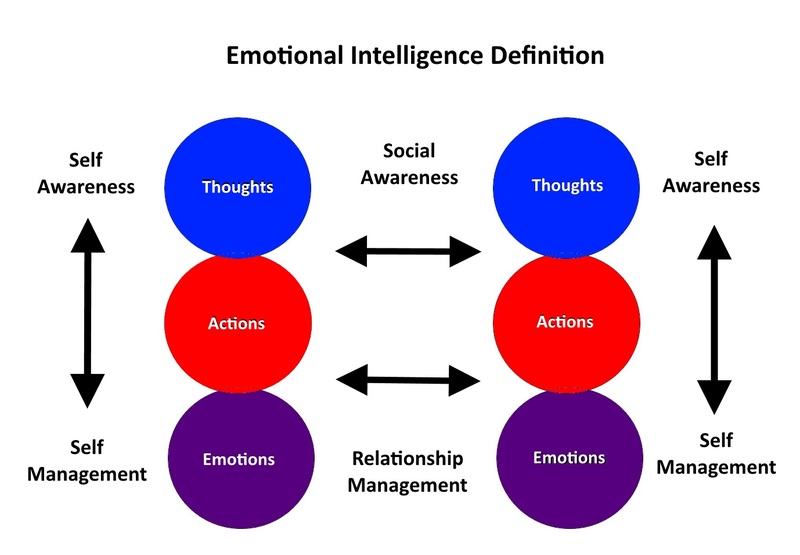 This gives you a good overview of an emotional intelligence definition that is practical, explaining skills that you can develop. Learn more on this site about EI on this page, which links to others that will flesh out the concept well for you.